It’s hard to believe it’s been nearly a month since the SOLID team participated at the 2018 International Facility Management Association (IFMA) World Workplace Conference and Expo in Charlotte, North Carolina. Held annually in various cities across the United States, World Workplace is an interactive learning and networking event for facility management professionals who support all aspects of the work environment. 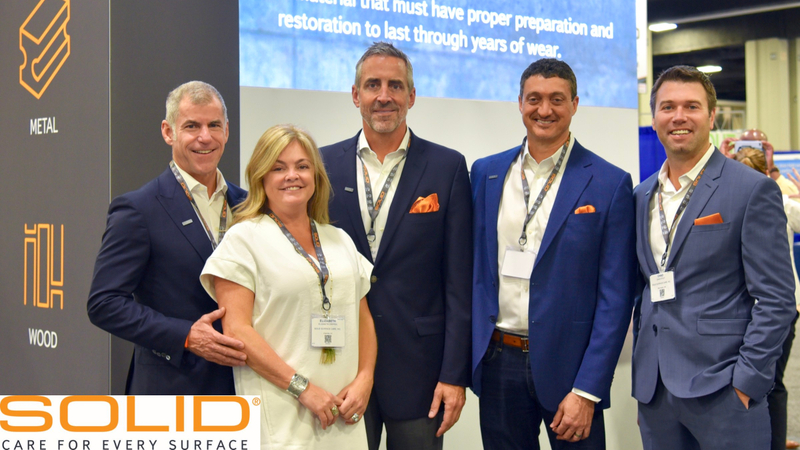 This year we had the pleasure to connect with over 3,000 facility managers, exhibitors, and directors, build upon lasting relationships, and share about our surface care services with the IFMA community. On the expo floor, the SOLID team showcased surface care in 360 using Virtual Reality glasses that every attendee could take home. World Workplace facilitates the sharing of ideas, problem-solving, and an exchange of knowledge between facility management professionals. The theme of this year’s World Workplace was “Create Your Own Success”. Keynote speakers for this year’s event included: NASCAR Icon and Philanthropist, Kyle Petty; U.S. National Protection and Programs Directorate Office of Infrastructure Protection and Acting Deputy Assistant Secretary, Scott F. Breor; as well as Former White House CIO and Cybersecurity Authority and star of CBS’s “Hunted”, Theresa Peyton. The SOLID culture is founded on building lasting personal relationships which, like the best facilities, stand the test of time. The SOLID team would like to thank IFMA, the conference attendees and organizers for another stellar event. We look forward to seeing everyone in Phoenix at World Workplace 2019! For more information on SOLID, please call 844-227-6543 or contact us.